Thus far, I have been to two London blogger events and I am insanely happy. I have fantasised about being the kind of person that attends blogger events and, although it doesn't fit with my strong affliction for staying in my pajamas and reading in bed all day, I can say the novelty has not worn off yet. Weirdly, both events have involved a lot of wool talk, but I will talk more about that in my next event post. 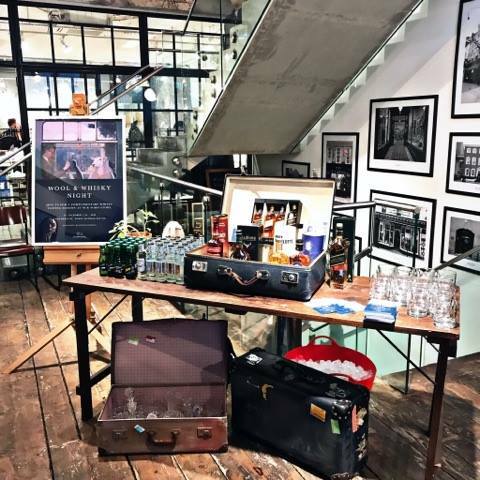 This event was entitled Wool & Whisky and comprised of just that. 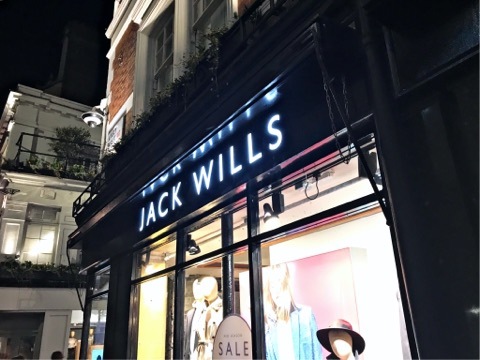 There was an impressive selection of whisky on display and Jack Wills also had an impressive sale on with 75% off their sale items and 25% off their whole store. The focal point of the event was the emphasis on British wool. I do think there is a returning trend of us going back to basics. In terms of style, I think that means reverting to the classics: good material, solid colours and timeless style. 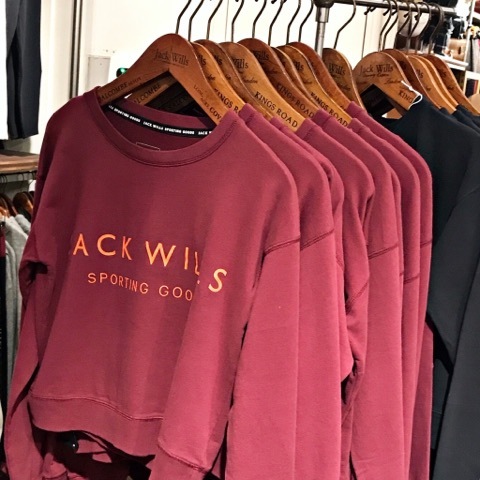 They have some really great, easy-to-wear pieces available and honestly it is a little expensive for my taste, but if you need good quality clothing for work you can easily find several pieces here. Their gymwear in particular is quite attractive. I really enjoy the new aesthetic. The best part about blogger events is getting to meet people you would never normally get the chance to speak to. I met a handful of bloggers that were all really lovely and I will leave their links all below so you can check them out. We wound up grabbing dinner together after and all in all it was such an enjoyable experience as I really don't know any blogger in real life, which is a damn shame because we are a cool bunch. I also met some great PR people and with the help of alcohol managed to exchange details with a few people, so I hope to make some long-lasting friendships. London can be a lonely place at times, it is odd because I know so many people here but we are all so busy that I almost felt closer to them when I lived a three hour train wide away. I hope I get invited to more events and get to meet more amazing bloggers. I really have put this blog on the backburner for a while and I am trying hard to rediscover my passion for it. I used to enjoy it a lot, but now I am so focused on saving money and doing well in my studies that I feel I have no energy left for my blog anymore. I keep promising to do better but I always fall into the comparison trap, I don't have a fancy camera, lighting, blog props and I can't blur my background or take artistic swatches. My hand is barely even steady when I snap a picture, so believe me when I say I am so grateful to be invited to anything especially when I see the content and teams of other blogs. It is eye-opening and heartwarming for sure. Of course, no night is complete without a substantial dinner but Carnaby is hella busy at 9pm on a Thursday. 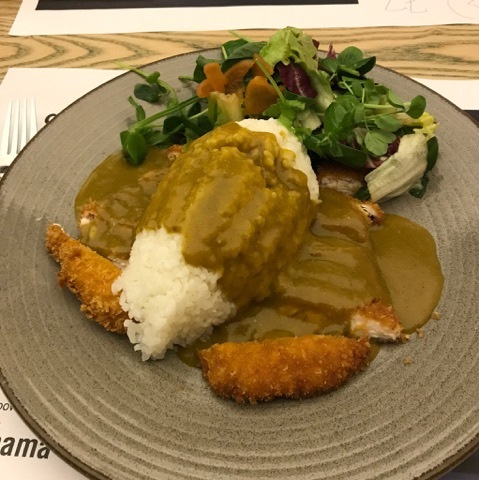 Luckily, we all shuffled into Wagamama's and I had a classic chicken katsu curry while talking to the lovely people I met. I want to shout out Abi Pursey from Ramblings of a Blonde, Sonam Lotay from Sonam Lotay, Radhika from Radhkia Recommends and Emil Allard who has a vlog channel. If any of you have any recommendations for London restaurants I am all ears, I just want to try absolutely everything. This was such a fun event, thank you Cassie for inviting me. Also, a shoutout to the lovely Faith who made everyone feel so welcome, she was hilarious. Thank you so much for reading, I did want to try and film the event but I was quite nervous and self-conscious about recording in front of everyone. Even with my second event, the idea of filming myself in the back of the taxi to explain where I was going almost made me break out in hives. Maybe in the future, baby steps. I hope you have had a lovely week so far. Speak soon. Take care. Hugs! 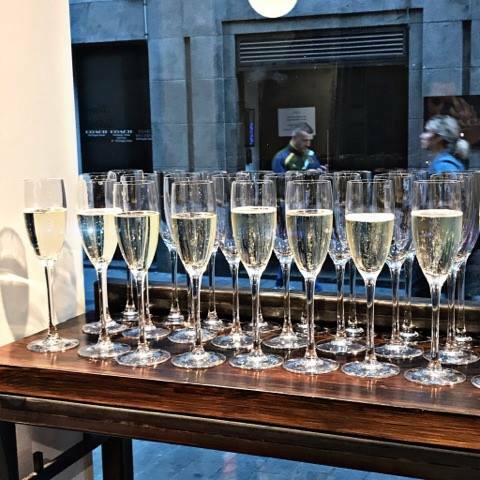 Congratulations for attending your first blogger event! Take a break, Kiran, it seems like you have lots on your plate right now and maybe a break will do you good? You might come back with a new passion. The blogger event sounds like a great time, meeting people with similar interests and passions is such a fun thing. Glad you got the opportunity! That looks like a really fun event. 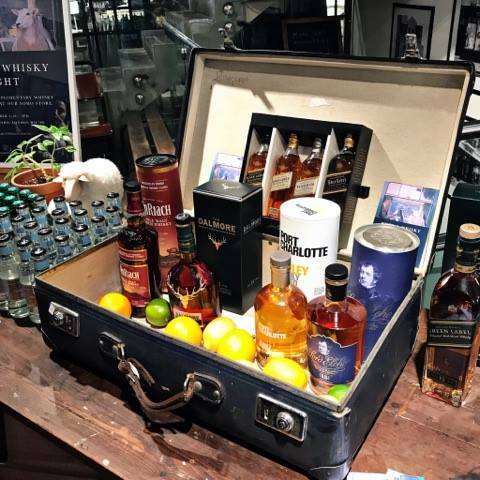 And that suitcase full of booze is so cool! Sounds like you had a great time. Congratulations on attending your first blogger event! Great opportunity. Ahh this looks like such a wonderful event!!! And that food looks amazing! My fav restaurant? Probably Wagamama and Pinto Lounge place near where I live. Lovely events .